Social media stars might be encouraging children to eat more unhealthy snacks, a new study suggests. It found children who saw popular vloggers consuming sugary and fatty snacks went on to eat 26% more calories than those who did not. The study, presented at the European Congress on Obesity, examined the responses of children to images from social media. The findings come amid calls for tougher rules on junk food advertising. The social media stars used in the study were Zoella, who has 10.9 million followers on Instagram, and Alfie Deyes, who has 4.6 million. The 176 children were split into three groups and shown either pictures of the personalities promoting unhealthy snacks, healthy foods or non-food products. The children were then offered a range of healthy and unhealthy snacks to choose from, including grapes, carrot sticks, chocolate buttons or jelly sweets. The children who had seen the unhealthy images consumed an average of 448 calories, while the others ate just 357. Dr Emma Boyland, one of the researchers from the University of Liverpool, said that children consider vlogggers to be "everyday people" just like their peers. "They've earned a position of trust among young people and there has to be some responsibility along the line," she said. The researchers called for more protection for children online, particularly on social media channels where it is unclear whether they understand the difference between an advert and genuine content. Dr Boyland said: "On TV there are more cues as to when it's advertising - there's an advert break, there's a jingle - whereas digitally it's a lot more embedded in the rest of the content." Anna Coates, the lead researcher on the study, said: "We know that if you show children a traditional drink advert, then their preference for that drink rises. We wanted to test their reactions to this new type of celebrity, the social media star. "Now that we've shown that children are influenced by online stars, our next study will look at whether they understand that, in many cases, celebrities are being paid to promote products." 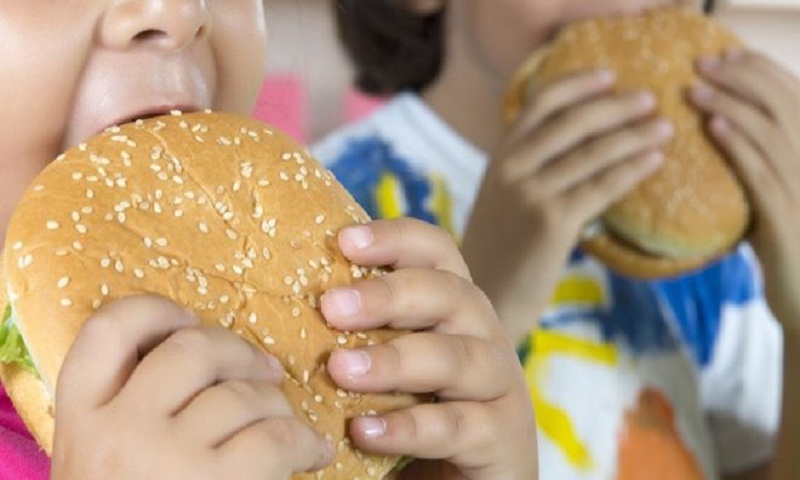 Prof Russell Viner, president of the Royal College of Paediatrics and Child Health, called on the government to consider more regulation to protect children in its forthcoming childhood obesity strategy. "It's vital that children are protected from the marketing of junk food, not only on TV but also online where they are increasingly spending time. "Companies are able to target their adverts on social media, which does provide the opportunity for regulators to put restrictions in place." Do viral videos show India, Pakistan warplanes in Kashmir?